Come on down to the Avenue in Del Ray tonight from 6-8pm to see 4MRMarket participate in 1st Thursday. We'll have a table with Gaver Nichols at the corner of Mt. Vernon and Raymond. 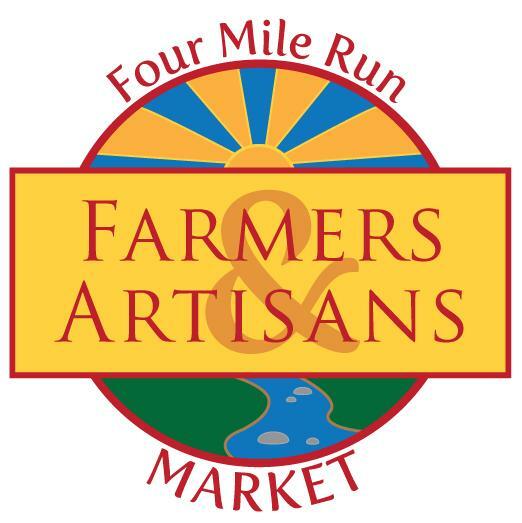 We'll be there to talk about the Four Mile Run Farmers and Artisans Market as well as the revitalization and expansion of Four Mile Run Park. And we'll have some giveaways and chances at gift tokens to use at 4MRMarket on Sundays. Sponsored by the Del Ray Business Association (DRBA), the season's last 1st Thursday will be held on September 1st beginning at 6:00 p.m. With the theme, Home Sweet Home, 1st Thursday is a wonderful opportunity to spend time on Mt. Vernon Avenue to learn about goods and services that make Del Ray a wonderful place to live, work, shop and play. Numerous realtors, architects, home services, home based businesses, and store front businesses will sponsor activities highlighting their Home Sweet Home offerings and will be set up along the Avenue between cross streets Hume and East Nelson. If you’re not up to walking the entire Avenue, there will be FREE pedicabs courtesy of Sue Kovalsky, realtor with the Jen Walker Team and McEnearney Associates; Gretchen Wilkinson, Realtor, Homes of Alexandria Team and Weichert, Realtors; and Dr. Richard Stone, DDS. Pedicabs can take you up and down Mt. Vernon Avenue. Both ends of the Avenue will have special activities. A band will be playing at the East Nelson end, right by Eclectic Nature, where they’ll be giving away s’mores!. At Monroe Avenue, Potomac West Interiors will host a wine & cheese reception and will be holding a special contest for customers. Stop by and see architect Gaver Nichols at Raymond Avenue where he’ll conduct a tour of the Lofts of Del Ray and a block away, Nature’s Nibbles will hold a pet adoption. At the center of the neighborhood in the Del Ray Farmers’ Market lot (Mt Vernon and E. Oxford), the Kate Moran Band will be playing and Sweetcheeks, will offer face painting for kids, courtesy of this month’s sponsor Jen Walker of McEnearney Associates. A few steps away, you can meet the owner of The Happy Tart, a gluten free bakery coming to the Avenue in the fall and sample “sweet” snacks at Vital Body and Mind Therapies and nostalgic treats at Immanuel Lutheran Church’s booth. Cross the Avenue and say hello to the folks from the DIY blog – they’ll be outside the Neighborhood Pharmacy. (a complete list of activities will be available on 1st Thursday). Alexandria Hyundai and ACKC will also host a band. 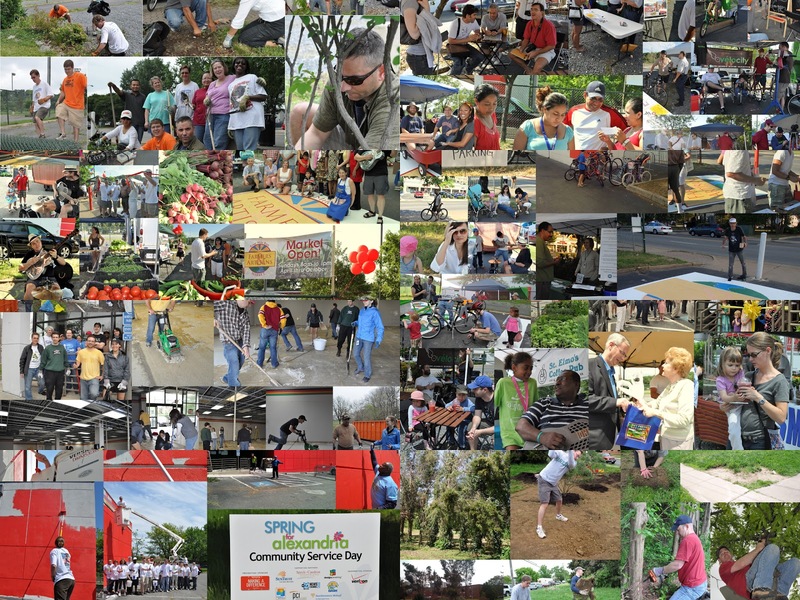 DRBA once again host the very popular scavenger hunt. Participants can pick up a form at the Del Ray Farmer’s Market lot or participating Avenue businesses. Follow the clues (and directions) for a chance to win prizes donated by neighborhood businesses, including (but not limited to) A Show of Hands, Bellies and Babies, Bungalow Homewares, Del Ray Patch, DIY Del Ray, Kiskadee, Jen Walker, Truly-Life natural soaps, Eclectic Nature, Vital Body and Mind Therapies, and Potomac West Interiors. 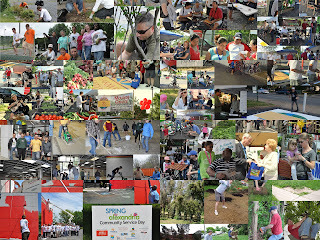 Finally, our featured non-profit for the September 1st event is Rebuilding Together Alexandria. Come and visit them at their booth in the Del Ray Farmers’ Market lot. They will be accepting donations to help in their important service to our community.